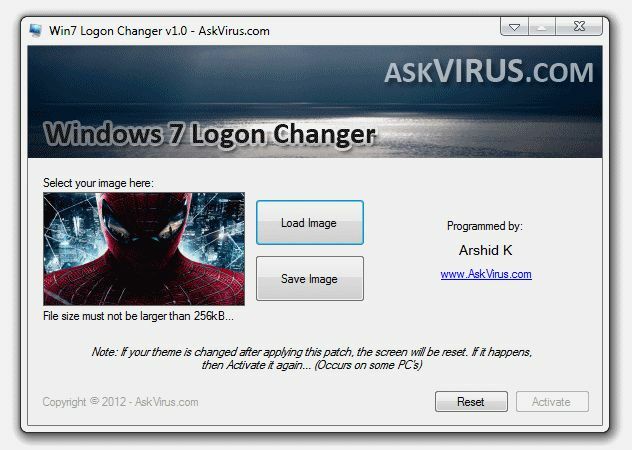 Win7 Logon Screen Changer is a freeware tool that lets you change the background image of the Windows 7 Logon Screen. The software uses a feature within Windows, meaning it is safe to use. You can select a high resolution image, and with a single click, set it as your permanent Logon screen background. You can also undo the changed later if you wish.